Ok you guys, Labor Day is next weekend already…where does the time go?! 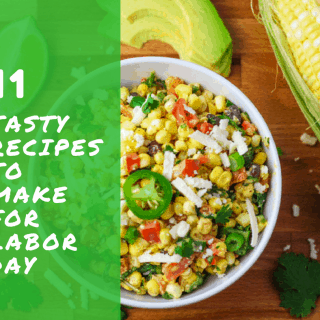 I decided to put together 11 of my Tastiest recipes that’ll get you through the Labor Day weekend. Everything from grilling, to easy side dishes, to cocktails. I’ve got you covered! You know me, I LOVE easy meals! 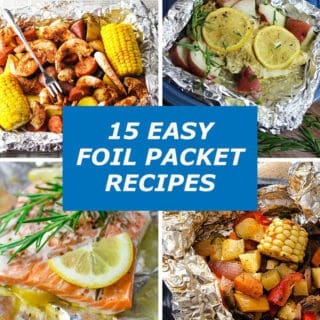 I especially love any meal that can be made in a Foil Packet! It’s so easy, just throw all of your ingredients in a foil packet and bake or grill! AND the best part…NO CLEANUP!! !